The Washington Post's fact checker gave former national security adviser Susan Rice four Pinocchios for claiming that former President Barack Obama got Syrian President Bashar al-Assad to "voluntarily and verifiably" rid his country of chemical weapons. 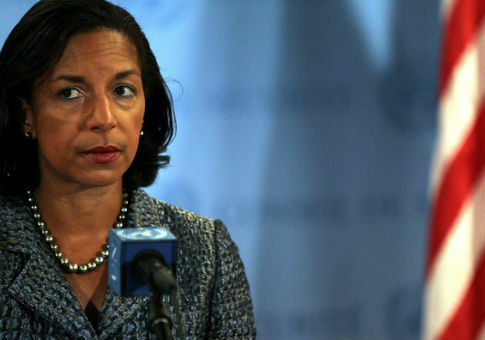 In an interview with NPR in January, Rice said that Obama was able to get Syria to "voluntarily and verifiably give up its chemical weapons stockpile." Assad has been accused of using chemical weapons against civilians in his own country, including in a strike on April 4 that killed more than 80 Syrians. After Assad used chemical weapons on civilians over three years ago, the Obama administration and Russia struck a deal in 2013 to remove Syria's chemical weapons. Critics of the deal said that it relied on Assad would never be honest about the contents of his arsenal. Rice and the Obama administration touted that the weapons had been removed in large quantities, but this was not completely true, as the most recent chemical weapon attack revealed. The Washington Post gave Rice's comments a rating of "four Pinocchios," which is their highest rating of deceptiveness and lying, indicating "Whoppers." The reality is that there were continued chemical-weapons attacks by Syria — and that U.S. and international officials had good evidence that Syria had not been completely forthcoming in its declaration and possibly retained sarin and VX nerve agent. Yet Rice said: "We were able to get the Syrian government to voluntarily and verifiably give up its chemical weapons stockpile." She did not explain that Syria’s declaration was believed to be incomplete and thus was not fully verified — and that the Syrian government still attacked citizens with chemical weapons not covered by the 2013 agreement. That tipped her wordsmithing toward a Four. This entry was posted in National Security and tagged Bashar al-Assad, Chemical Weapons, National Security Adviser, Susan Rice, Syria, Washington Post. Bookmark the permalink.